Technology is a part of our every day and tech devices have long lost their reputation of having a cold, lifeless and robotic look. 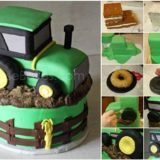 They can have much style and decoration; some people will sooner buy a tech device that looks good over one that doesn’t look as nice but works better. 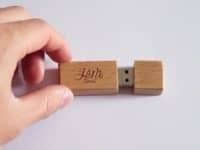 This tells us that we all value esthetics and when you’re transferring files from one place to another, a charming and a personalized USB flash drive goes a long way. 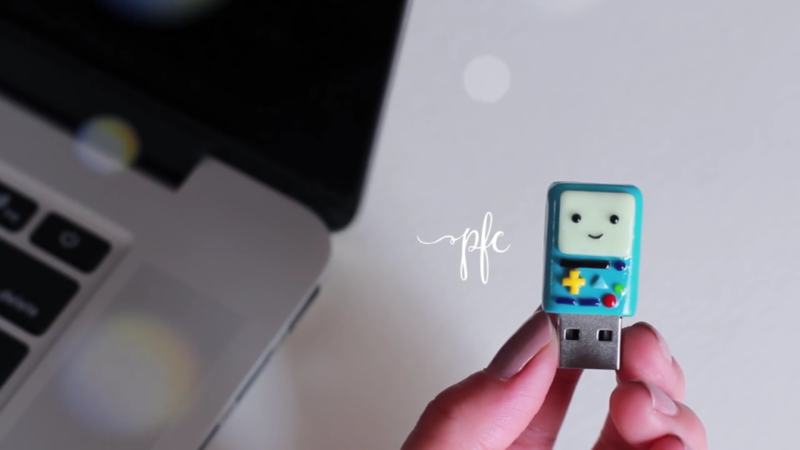 Here are 12 DIY USB flash drives to choose from! 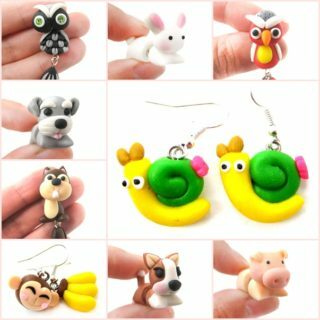 You have a passion for fashion and every single part of your outfit has a role to play – from your clothes to the content of your purse. 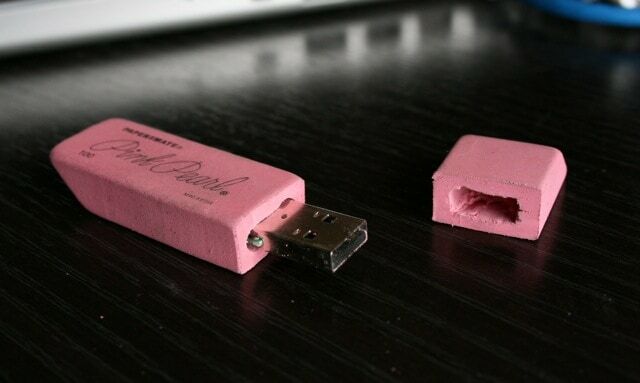 Nothing is left to be a coincidence, not even your USB flash drive! 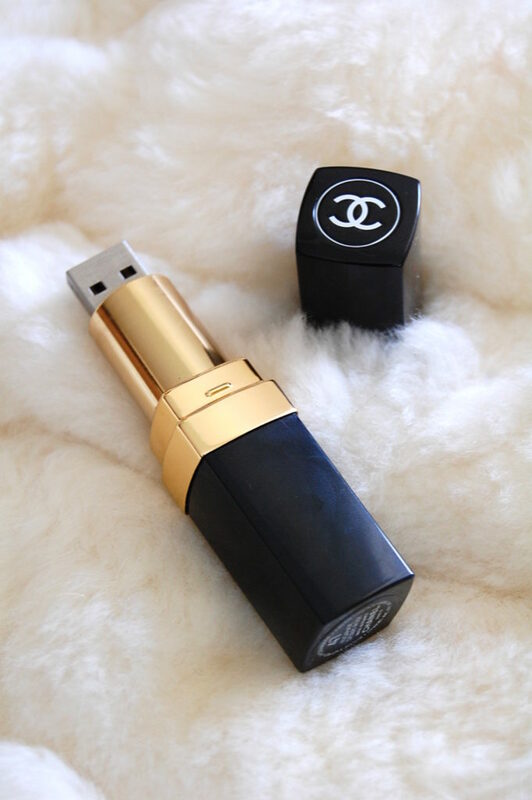 Make yourself a fashionable and discreet flash drive that looks exactly like a Chanel lipstick! Lollipuff will show you how. 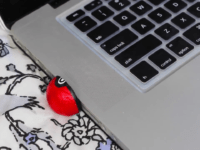 When you’re sitting at your work desk and working on a really important project, Hello Maphie‘s shiny liquid USB flash drive needs to be by your side! 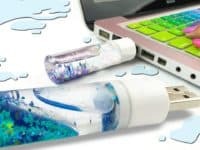 The colorful look has an uplifting effect and the liquid will be fun to play with as you’re fiddling the USB in your hands before you plug it in to backup your work! 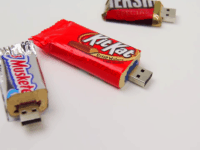 Are you a total candy bar addict? 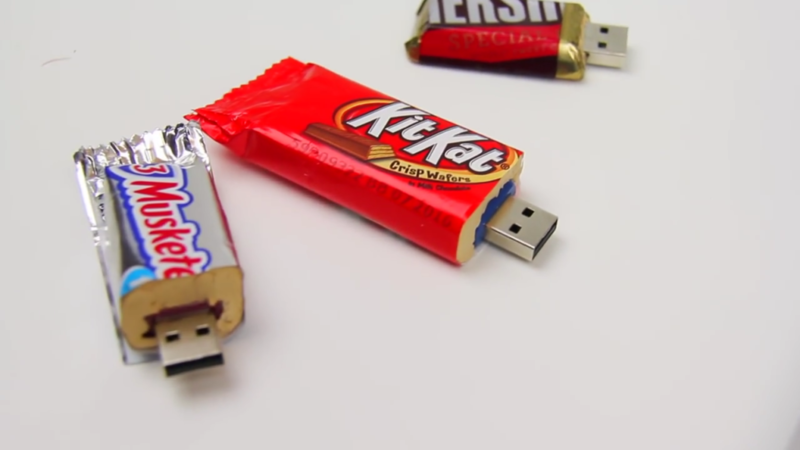 Karina Garcia has a really cool idea for upcycling those candy wrappers! 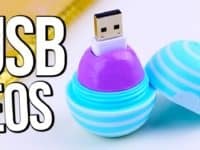 Use them to make a personalized USB flash drive that will always remind you of your favorite sugary treat and of the fact that lunch break comes along sooner or later! 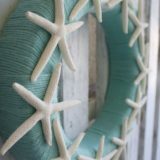 Starbucks can be a great place to work from. 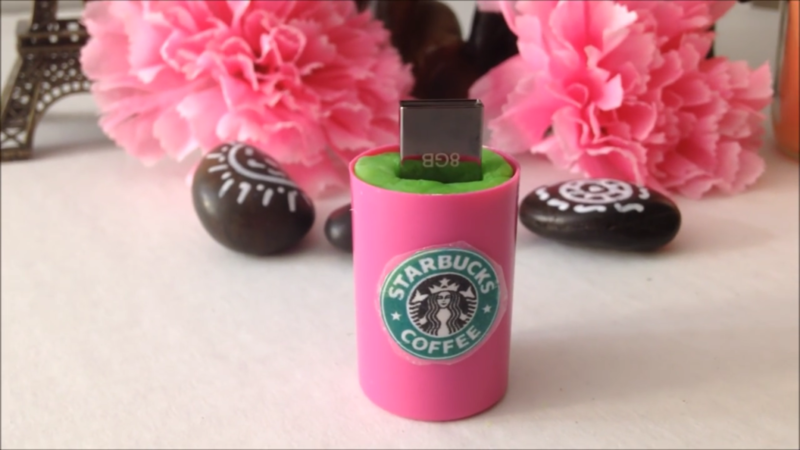 If you love their coffee as well as their atmosphere, you can honor your love of the place with a tiny Starbucks USB flash drive. 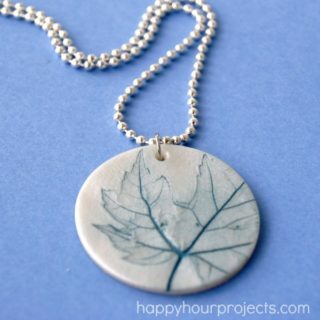 It’s going to become your constant companion on your work trips to your favorite coffee shop on Earth! 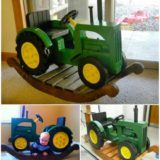 Get the instructions at Spirited Gal! 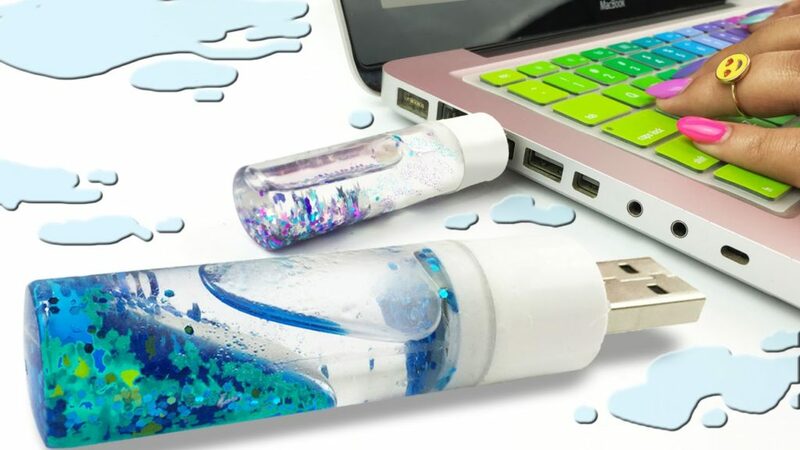 Maybe you don’t want the whole world to know you’re carrying around a flash drive, especially if it’s holding sensitive information. 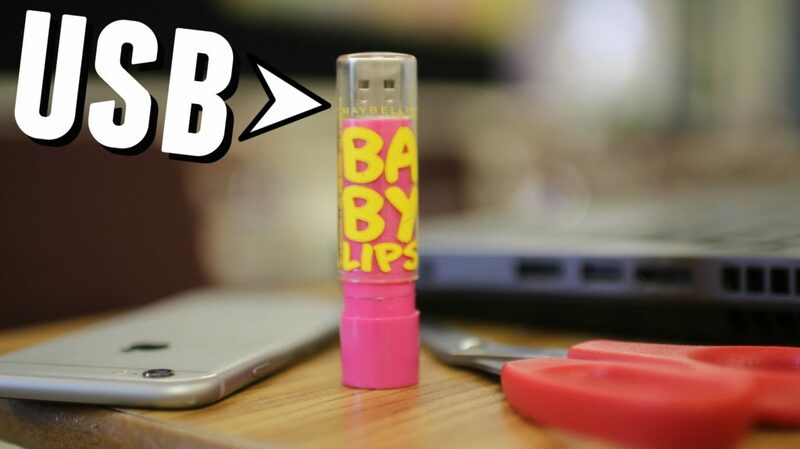 Hide it by masking it as your favorite lip balm! 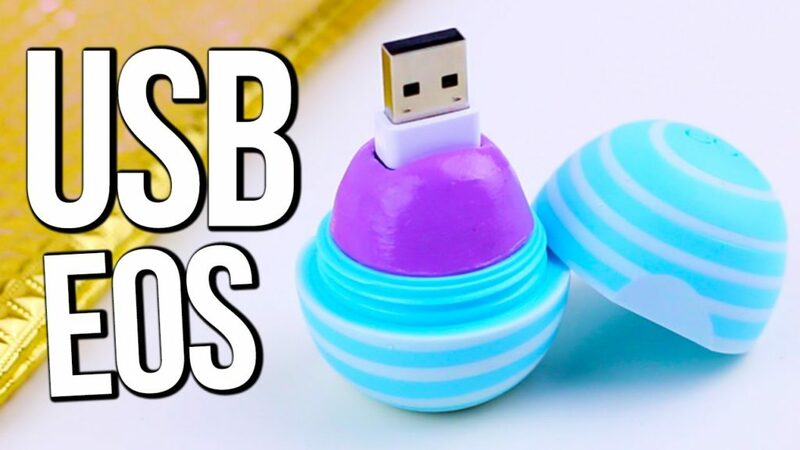 Check in with Hello Maphie to see how a famous EOS lip balm can become a secret USB! 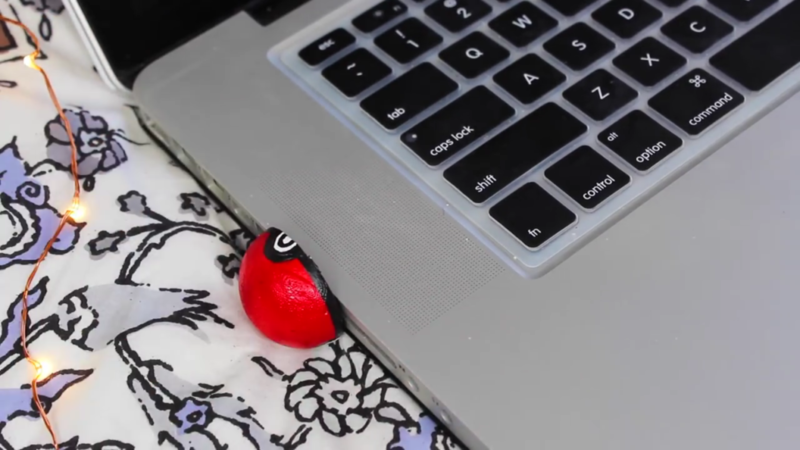 When your gadget has more than just one function you’ll love and cherish it that much more! 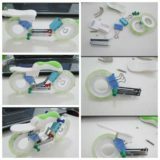 Fungus Amungus made a DIY flash drive that is ideal for students who need to carry around important documents as well attend classes. 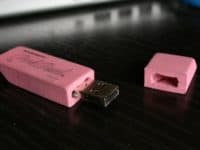 The pink eraser USB is absolutely ingenious! 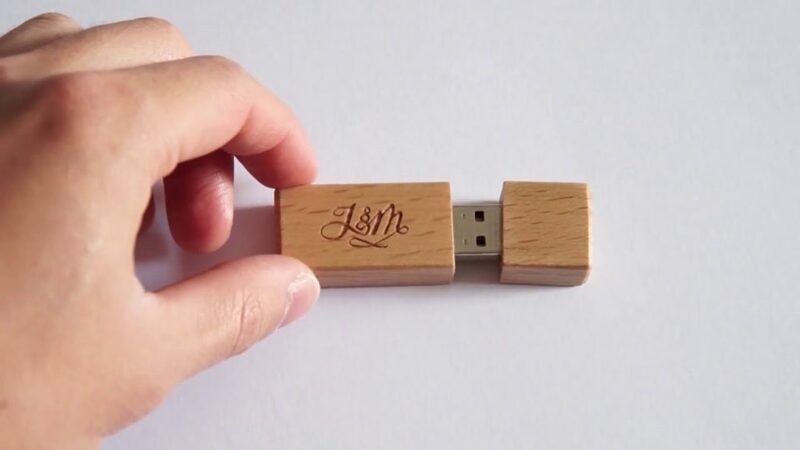 Visit Last Minute Thoughts if you want a beautiful wooden USB flash drive that has a very sleek and simplistic look. 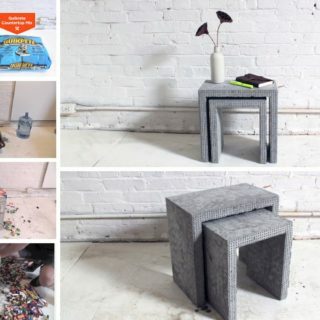 The use of natural materials brings an organic component to the technological time that we currently live in, balancing both spectrums within the tiny device. 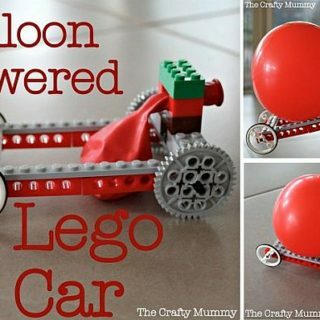 If you have loved Legos as a kid Eureka has a super fun way to bring them back. 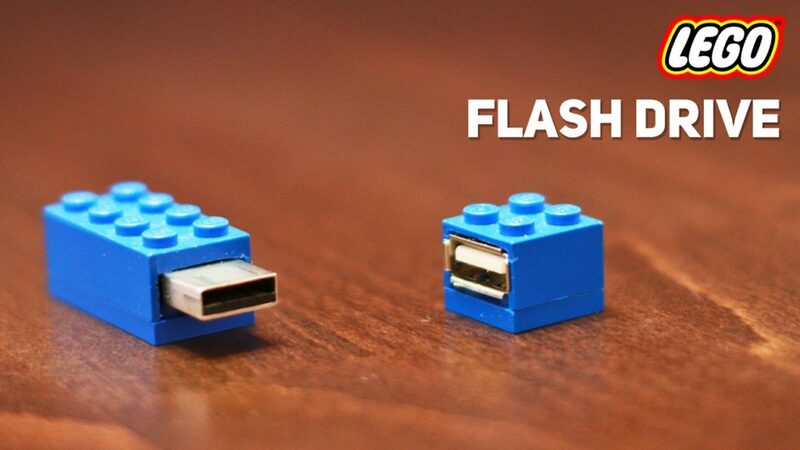 Make yourself a Lego USB flash drive that will remind you of your childhood’s favorite toys! 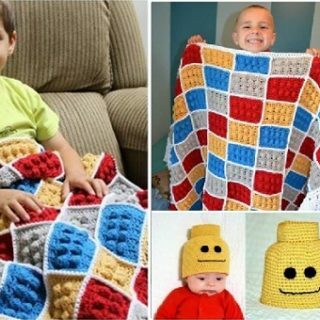 Some people might wonder why you’re carrying a Lego block around, but only you will know the secret! 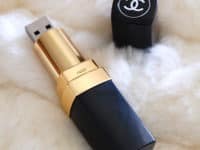 It seems that the easiest way to discreetly carry a USB in your purse is in the form of a lipstick. 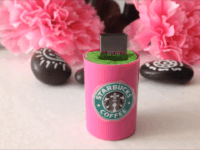 Here’s another lipstick USB idea for you! 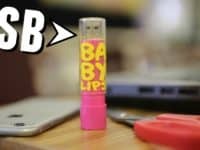 If you are devoted to the Baby Lips brand, nobody will be able to guess that you’re actually hiding a flash drive inside. 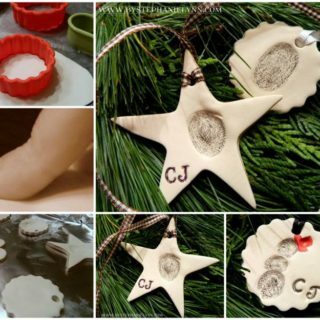 Find the tutorial at Adelaine Morin! 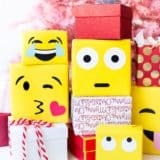 The age of technology has brought us emojis and for that we can be eternally thankful! 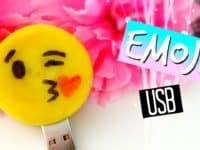 If you love using emojis in your texts and even have a couple of favorite ones, Spirited Gal will show you how to make an USB flash drive that looks exactly like your most used emoji! 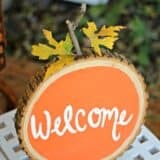 With the launch of the Pokemon Go game the Pokemon frenzy has returned and with it a whole variety of Pokemon themed DIY projects. 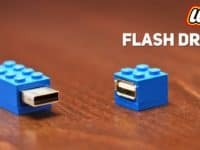 Lucky for you, a flash drive is one of them! 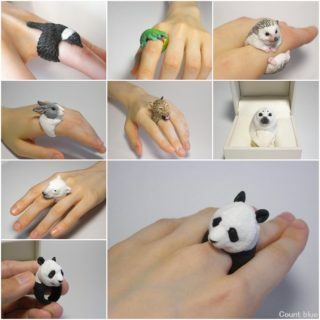 Your childhood love of Pokemon can now have a place in your adult world as well. 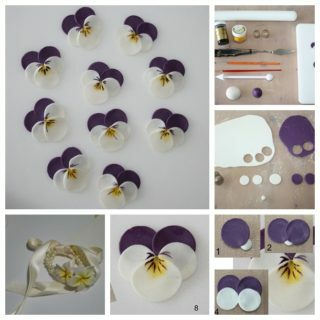 Get the details at Keep Calm and Blush On! 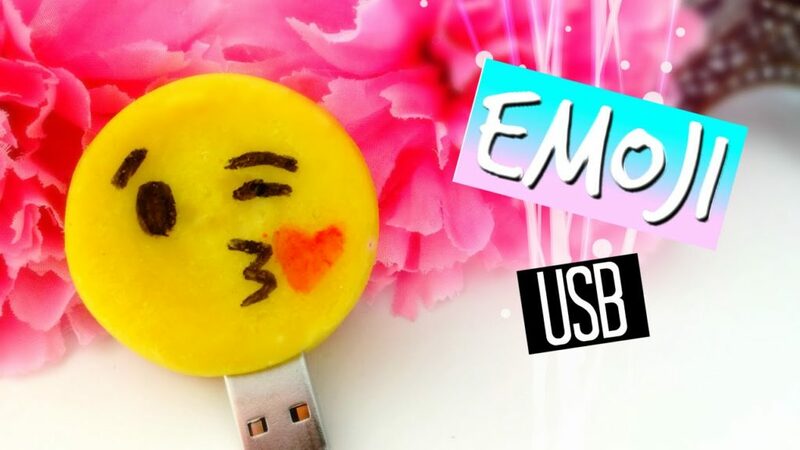 Polymer clay is a great material to use when you want to give your USB a very specific look. 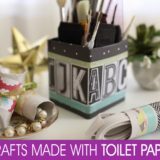 The possibilities are endless and you can decorate it with so many little details. 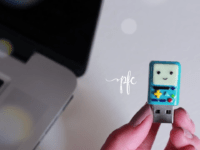 Visit Pudding Fish Cakes if you love creating with polymer clay and want your USB flash drive to look like an adorable robot!